A research team led by scientists at AIDS Institute and Department of Microbiology, Li Ka Shing Faculty of Medicine of The University of Hong Kong (HKU) invents a universal antibody drug against HIV/AIDS. By engineering a tandem bi-specific broadly neutralizing antibody, the team found that this novel antibody drug is universally effective not only against all genetically divergent global HIV-1 strains tested but also promoting the elimination of latently infected cells in a humanized mouse model. The new findings are now published in the April issue of Journal of Clinical Investigation, one of the world's leading biomedical journals. (link to the publication). 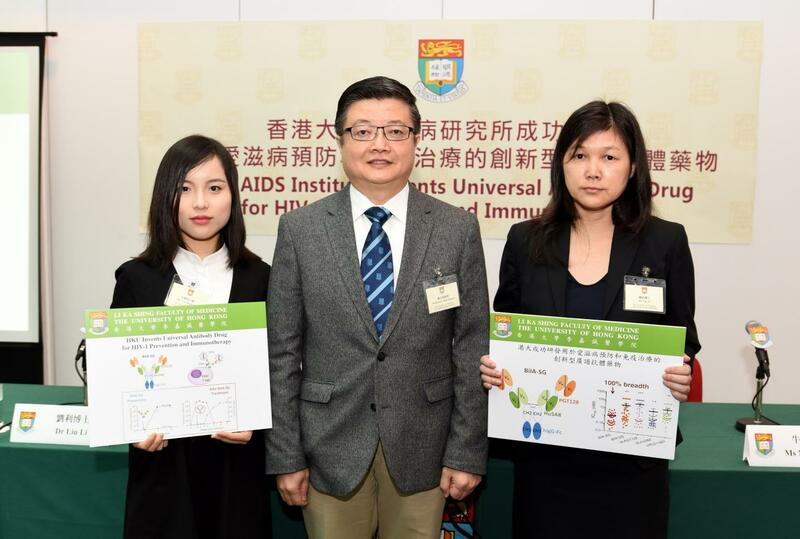 The research was primarily conducted by the HKU team led by Professor Chen Zhiwei, Director of the AIDS Institute and Professor of Department of Microbiology. Four graduate students Xilin Wu, Jia Guo, Mengyue Niu, Ka Shing Lam and Research assistant professor Dr Li Liu of Department of Microbiology made major contributions. Key external collaborators include Dr Hui Wang at Shenzhen Third People's Hospital, Professor Hong Shang at The First Affiliated Hospital of China Medical University, Professor Xia Jin and Professor Paul Zhou at Institut Pasteur of Shanghai of Chinese Academy of Sciences, and Professor Linqi Zhang at Tsinghua University. The work was supported by the Hong Kong RGC/NSFC (N_HKU709/11), HMRF(12110952), RGC(HKU5/CRF/13G), ITF(ITS/170/17), China's National Science and Technology Major Project (2013ZX10001005002001), National Natural Science Foundation Award (81530065), Grand Challenge China (81661128042), the Sanming Project of Medicine in Shenzhen, HKU University Development Fund and The Li Ka Shing Faculty of Medicine Matching Fund to the HKU AIDS Institute, for financial supports.